We’ve heard numerous reports in the past about smart augmented reality glasses with voice assistants. Google famously launched Glass and then stopped selling it to consumers, instead focussing entirely on research, medical and scientific sectors. And around the time, a lot of wannabe HUD-toting smart glasses made the rounds. Eventually the category petered out with just a whimper. But now a startup is looking to bring them back and will unveil the world’s first Alexa-driven augmented reality glasses. New York-based Vuzix plans to exhibit the AR glasses at CES 2018, revealed Bloomberg. Vuzix’s smart glasses, just like the forgotten Google Glass, present information on a heads-up display in front of your eyes. Users can use the glasses as normal glasses, till they nudge the frame to wake Alexa up. This invention is part of Amazon’s initiative to bring more third-party manufacturers aboard the Alexa sailboat to expand into every corner of the home. 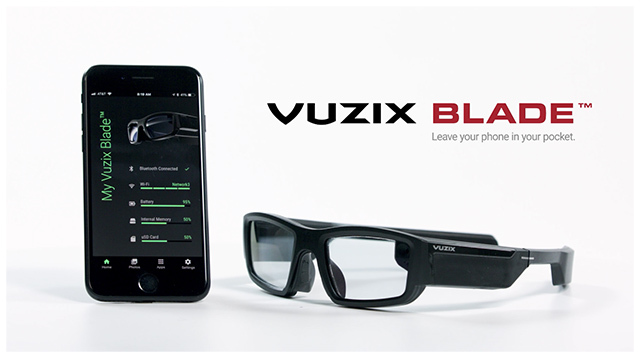 Vuzix Blade are not entirely clear; a dark tint gives them a sunglasses look and the pair features an 8-megapixel camera, noise-canceling microphones, and a touchpad on the side for user interaction. These glasses are compatible with both Android and iOS thanks to a companion app, and will fire up information about incoming calls, texts, and apps including your social media feeds across the glass window. Alexa integration is likely to make replying to these prompts easy, but the company is trying to maintain some suspense until the showcase. After emerging from the spotlight at CES, Vuzix will focus on bringing its smart glasses to the market by Q2 2018. Although the Alexa-powered glasses will be initially sold for as high as $1,000, the company’s “ultimate goal” is to bring the price under $500, which Vuzix CEO says could happen by 2019. 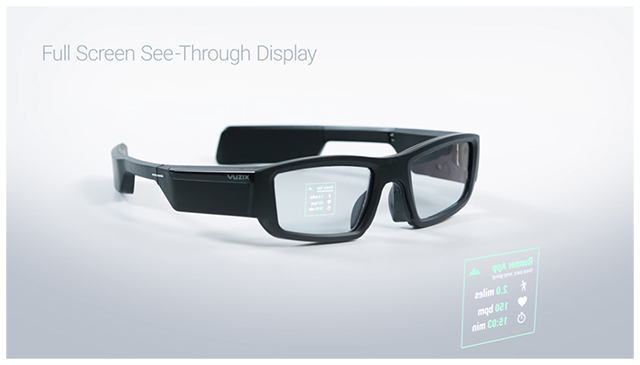 The company is currently working on improving the usability of the glasses, before looking at economies of scale. Coming from Amazon, it is also likely that these smart glasses could also augment your shopping experience even in offline stores. Amazon’s Alexa has already a significant head-start against Google Assistant and following the feud between the two companies, getting more and more third-party device partners appears to be Amazon’s way of countering Google Assistant’s presence on more and more Android device partners.